As you know, I've been working on some new things recently. 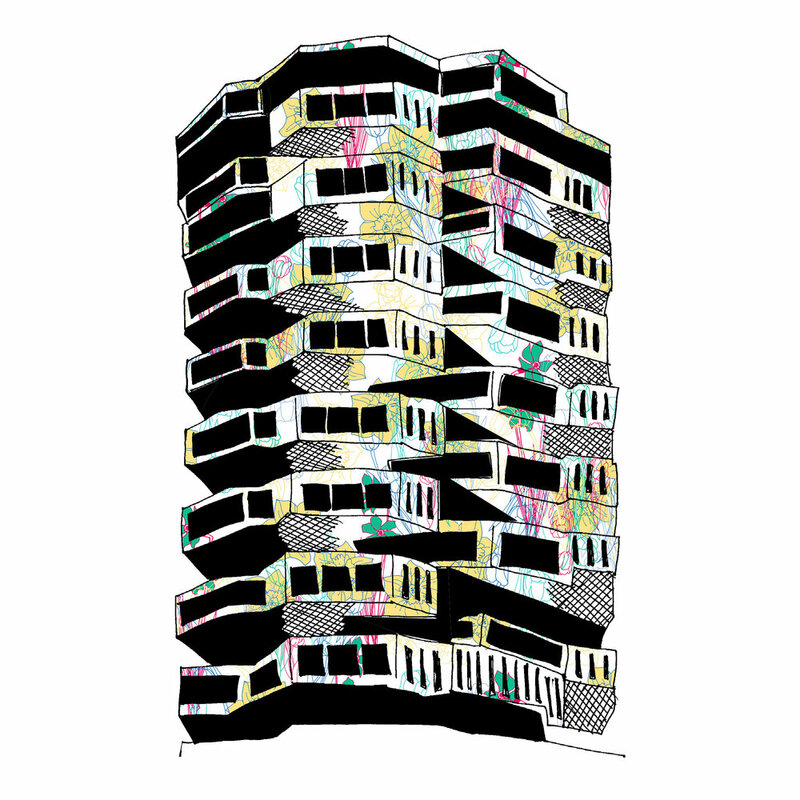 I have new Virginia Woolf prints in the shop and I now have some new Croydon prints too! I've been working on lots of florals lately - mostly as a boost to my portfolio and an interesting exercise, however last week, while designing a new pattern, I thought it would look rather nice on Fairfield Halls (as you do!)... and here it is! Both of these prints are now available in the shop (however please note that I'm taking a few days away from the studio for half term so any orders placed this week will be dispatched on Monday 19 February).